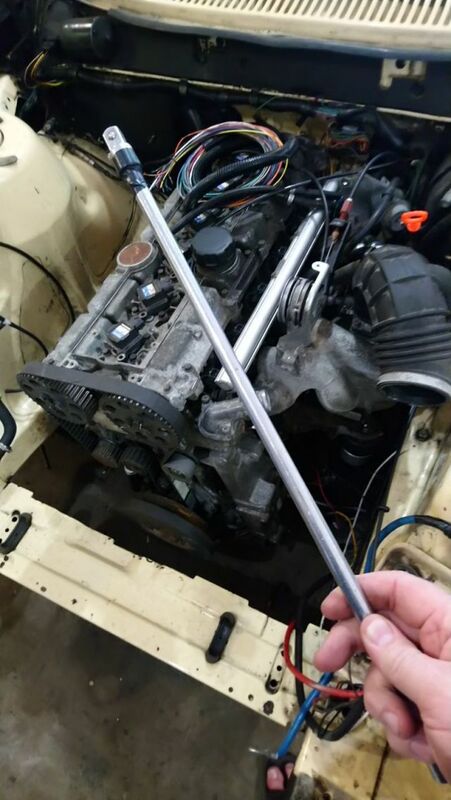 Really, Volvo...you need a 20" socket extension with a 1/2" socket end on it to get the transmission dipstick out? This is bizarre, and it's a tight fit for sure. Last edited by Broke4speed; 07-07-2018 at 07:28 PM..